Eyebrow piercing : how to measure and find the right size for your piercing? Here is a sizing guide to better understand the proper body jewelry gauge sizes and measurements. NOTE : This piercing sizing chart is a general suggestion based on our experience and knowledge in body piercing, though it is important to note that piercing jewel length or piercing type options can vary depending on your morphology or the way your piercing has been done. 2 - What size is a eyebrow piercing? 3 - How to measure your eyebrow piercing? Less common, it is possible to wear a ring or a horseshoe ring piercing at your eyebrow. What size is a eyebrow piercing? 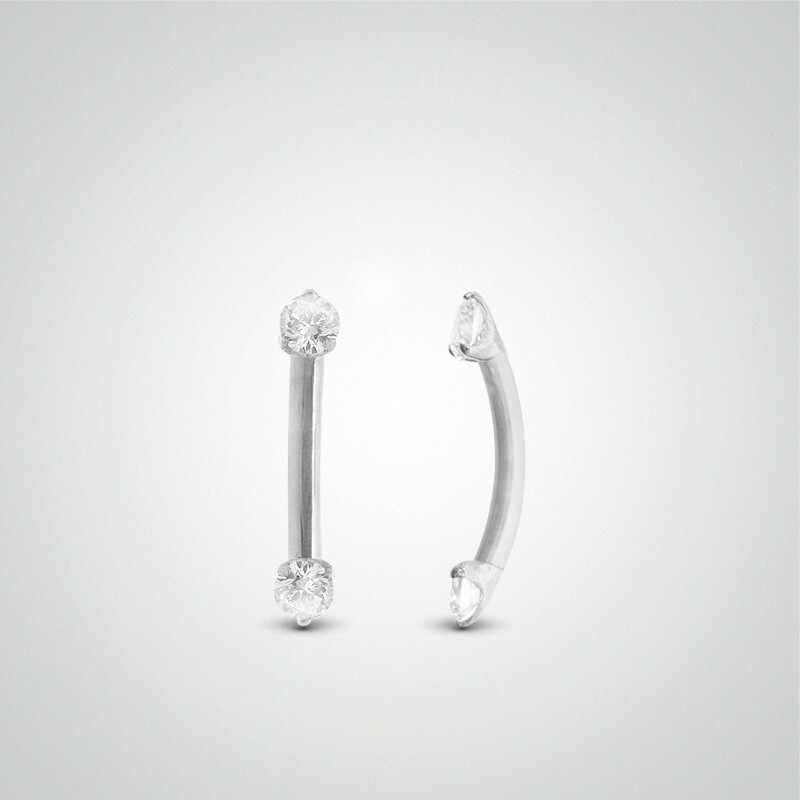 There is two main barbell gauge sizes for eyebrow piercing : 1,2mm(16G) and 1,6mm(14G) (barbell diameter). 1,2mm(16G) is the standard and most common eyebrow piercing gauge size. 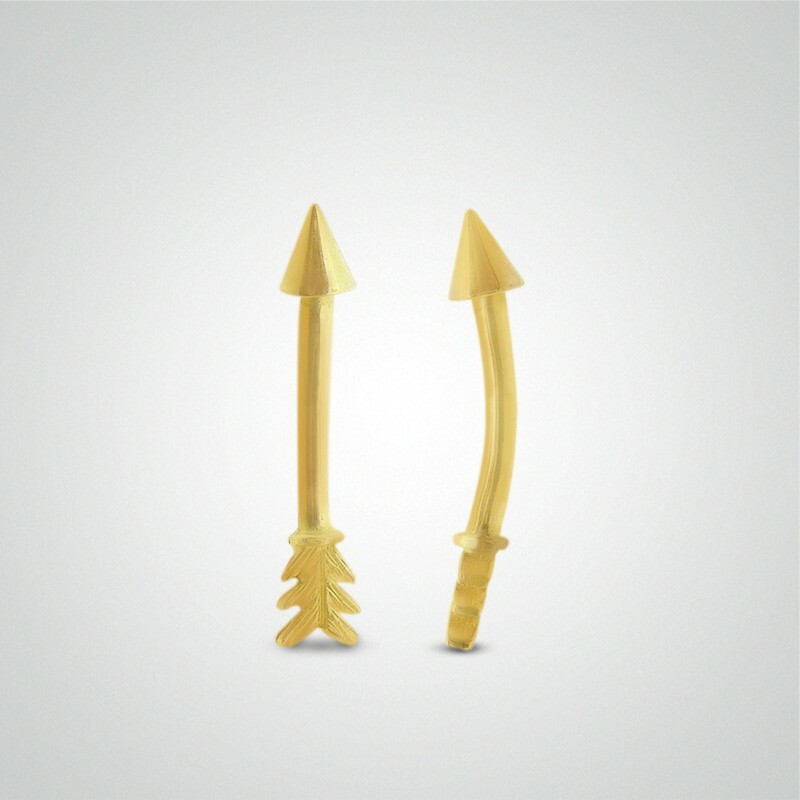 It's also the size that is generally used as first piercing jewel during healing. 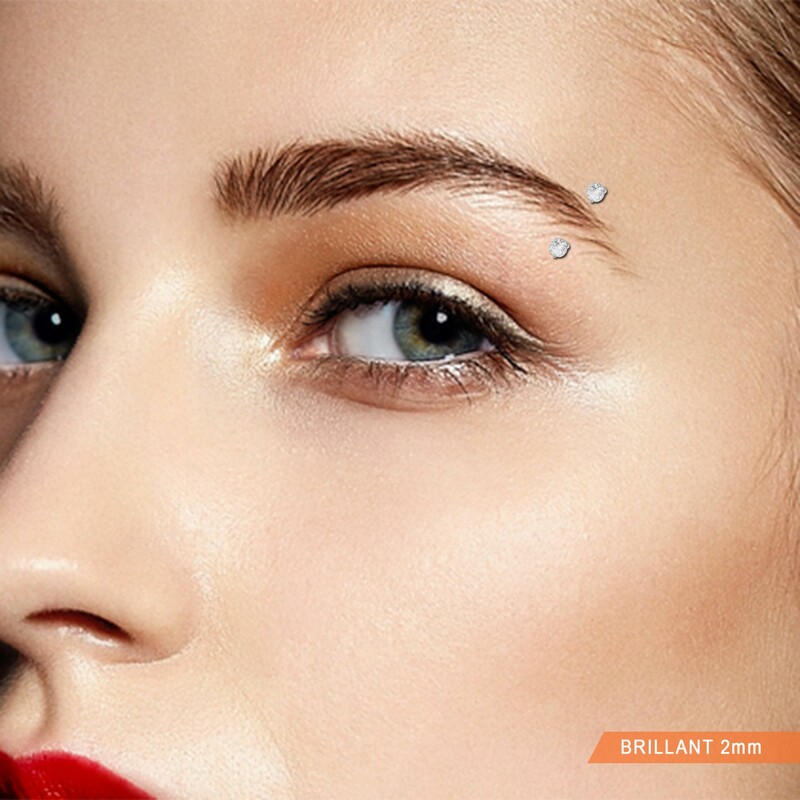 For an elegant gold eyebrow piercing, 1,2mm(16G) is the perfect size. Some people (often men) like to wear a thicker and bigger eyebrow piercing, it is more approriate to get a jewel with a 1,6mm(14G) gauge in this case. 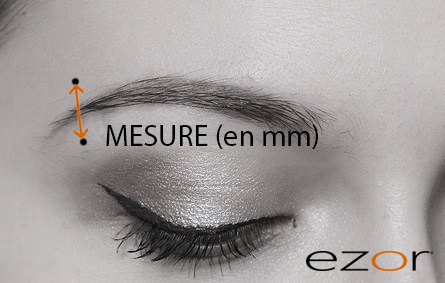 How to measure your eyebrow piercing? It is important to have a eyebrow piercing jewel at the perfect length. A barbell that is too short can compress the skin and be painful when a barbell that is too long may bump or get caught in clothes and may reduce the skin space between both piercing holes. 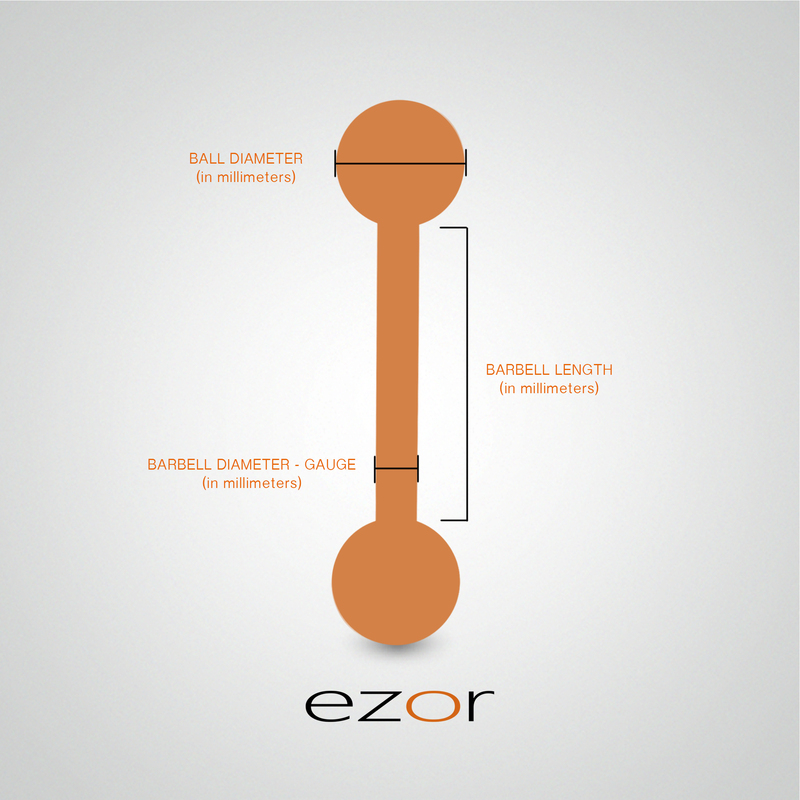 To find the size of your curved barbell you need to measure the inner length between the two balls (or jewels) in a straight line. 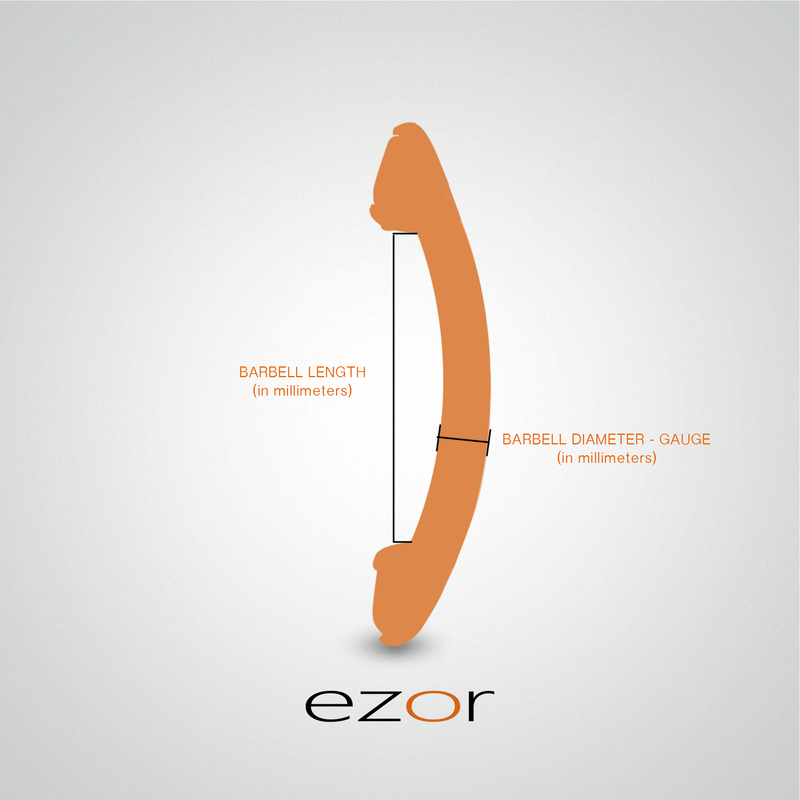 The measurement is done the same way with a straight barbell.